The Strand is a popular Medway destination for families. It has two recently updated large children’s play areas, park lands, outdoor gym, riverside walks, newly-developed parkour arena and free use of outdoor tennis courts and paddling pool. Tennis courts and paddling pool are open summer only from 25 May to 1 September 2019. There's a café on site, that also manages the fun inflatables, the mini train ride and crazy golf throughout the year. Please enquire with staff onsite for further details. The Strand is also the home of Medway Junior parkrun. 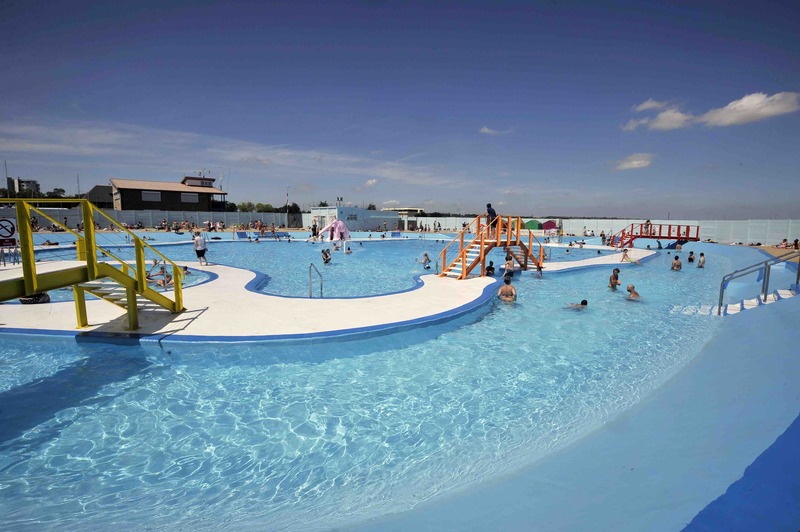 The Strand pool is in Gillingham, Kent and is Medway's open air swimming pool or lido. Open to all for family fun and swimming, the pool includes a paddling area, a lazy river, elephant slides and a swimming area. The pool is not heated and is a salt water lido. The Strand is open 11am to 5pm. Bank holidays: 11am to 4pm. The summer season 2019 opens from Saturday 25 May 11am to 5pm for weekends only. In very hot weather, we'll attempt to open the pool on additional weekdays after 25 May. This information will be posted on Medway Sport Facebook and Medway Sport Twitter the day before. The pool will be open daily for the summer holidays 11am to 5pm from Monday 22 July. The last day will be Sunday 1 September 2019, inclusive. All children under 11 must be accompanied by an adult. Any Medway Sport membership that includes swimming is included at The Strand. Medway Free Swimming Card is currently available to use at the Strand for the summer season, although you cannot be issued this card from the Strand or on the day of your visit. You need to pre-organise this with any of our other centres in advance. On all days there will be a queuing system as this can be very popular destination in hot weather, it is on a first come first served basis and there is no guarantee of entry or sessional times that remove people. The queuing system remains in operation all day.